I am delighted to have been selected by the Crafts Council to showcase new work within Collect Open 2019. It is an honour to be the sole representative of Scotland within this section. Collect Open provides a platform for 15 individual artists to show ambitious and conceptual craft-led installations within Collect. 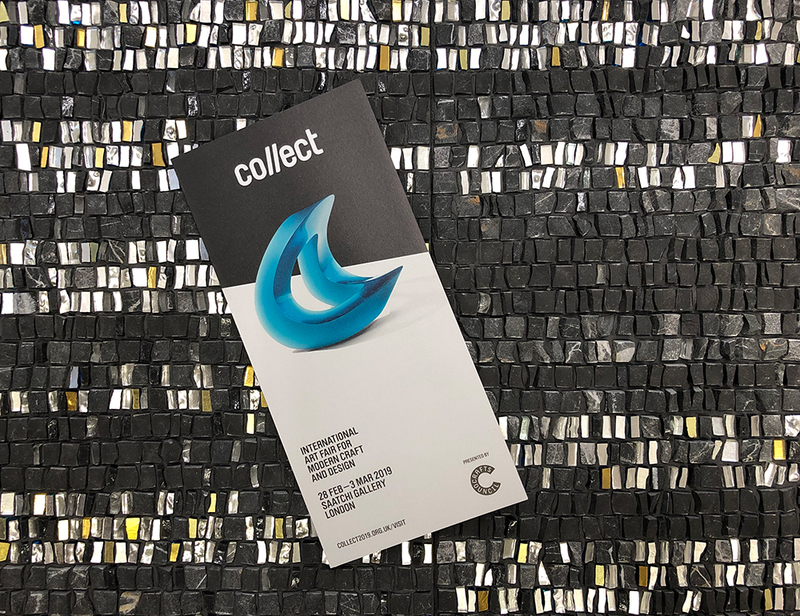 Collect, presented by the Crafts Council, will occupy the whole of the Saatchi Gallery for four days. It is the only gallery-presented art fair dedicated to modern craft and design, and provides an opportunity to discover and invest in exceptional work produced in the last five years by living artists, much of which is made exclusively for the Fair. Being selected to participate in Collect Open has created an opportunity for me to develop new architectural scale work and sculptural objects. It has enabled me further develop Italo-Scots links through mosaic and to pursue my interest in the work of the Venetian architect, Carlo Scarpa, and in the novel ‘Invisible Cities’ by Italo Calvino. Collect Open is located on the top floor of the Saatchi Galleries. I will be on the stand everyday, if you plan to visit start on the top floor and come and say hello. Advance ticket deals are available via the Crafts Council. I will be posting daily updates from Collect on Instagram.